Serious accidents are exactly that. They’re SERIOUS. They require a skilled, experienced, knowledgable and understanding lawyer to handle your claim. But it’s not just the legal ups and downs that your personal injury lawyer will handle. A good lawyer, and one who knows what they’re doing, will help you get the rehabiliation and a team of professionals in place so that your treatment never skips a beat once you’re discharged from hospital. There is nothing WORSE seeing than a catastrophically injured accident vicitm who is not getting the rehabiliation or treatment which they need to help them get better. That irritates all of the lawyer and staff at Goldfinger Injury Lawyers. Arghhhhh…..
After a serious accident, it’s likely that you will be kept over at a hospital or a long term care facilty for an extended period of time. Chances are you might be transfered from one bed to another, or from one facility to another. How long you stay at the hospital or the long term care facility is anyone’s guess. Ultimately, it’s up to the doctor to determine when it’s best for you to be discharged. Unfortunately, in our experience, we’ve seen serious injured accident victims discharged when it was clearly not safe for them to be outside of a hospital or long term care facility. We’ve also seen situations where injured accident victims are discharged home when their home wasn’t SAFE or modified to suit their needs. The result was that the injured party was now living in an unsafe environment and were living under constant risk or causing further injury. Our health care system can only take on so many patients. There are only so many hospital beds to be filled. One case our office had long ago involved a catastrophic brain injury, along with multiple orthopaedic injuries. Think skull fracture, multiple rib fractures, fractured tibia/fibia. Ouch! The social workers from the hospital were scrambling to find a suitable long term care faciltiy that was near the client’s home, family and which would be suitable for his care needs. The client, who was a younger person was sent to an old age home where the client lived for a number of months. The old age home was lovely, and provided excellent care and treatment. BUT, the client wasn’t really happy being the only person living at the home who wasn’t over the age of 70. Not an ideal setting, but it was better than the alternative which was going home to live ALONE without any caregivers and in an unsafe environment (too many stairs and elevations). That scenario is a bit on the extreme side, BUT things like that do happen just because there is a shortage of available space in long term care facilities across the province. It’s not uncommon for somebody injured and treated at a Toronto Hospital to be sent out of town (London, Belleville) for long term care. 1) Relationship with Insurers are IMPORTANT: Many of the items necessary for your discharge might not be covered by OHIP. Ramps, canes, wheelchairs, grab bars, accessible toilet seats etc. All of these items are NOT covered by OHIP, but might be the difference between making your home from another accident waiting to happen to a safe discharge environment. Under Ontario’s No Fault Accident Benefit system, your insurance company or that o theother driver is responsible for paying for these assistive devices. Our law firm knows how to get these items in place, and paid for by the insurance company quickly and efficiently so that you or your loved ones don’t have to worry. 2) Relationships with occupational therapists, social workers and physiotherapists both INSIDE and OUTSIDE of the hospital: The hospital’s social worker or occupational therapist will likely be responsible for handling your discharge from their facility. Once you’re out of their doors, they’re no longer your problem (sad but true). Our law firm has a team of award winning occupational therapists, social workers, physiotherapists and other health care professional on stand by to make sure that the transition from hospital to home is a smooth one. This is what accident benefits in Ontario are all about. Our law firm understands how to get the most out of your accident benefits so that you get the care and treatment which you deserve. 3) Who’s going to pay for all of these things and all of these people helping me? When therapy and treatment costs are covered by OHIP, nobody worries about the cost of anything because we don’t see the bill. The moment that cost is no longer covered by OHIP, the cost of that treatment and rehabiliation becomes crucial. Our law firm is aggressive and fights hard to make sure that those bills which aren’t covered by OHIP are covered by the insurance companies immediately. If those bills aren’t, then we have excellent relationships with the service providers we work with such that their billings will be placed on hold until the insurance company pays. That means you don’t have to worry about any treatment costs until the insurance company has paid or until we’ve won your case. This will provide you with the peace of mind you need so that you can focus on other more important things: mainly getting better. 4) A multidisciplinary approach to your wellness and rehabilitation: If you’ve been seriously injured, there mioght not be just one thing wrong with you. There may be many different parts of your body and psych which are injured. Accordingly, no single health care professional will be able to get you better with one swing of a magic wand. It will likely take a number of different health care professionals to help you along the way with your road to recovery. Our law firm understands that a multi disciplinary approach is required in catastrophic accident cases, and knows which health care professionals to refer you to outside of the OHIP system to make sure you get the treatment and care you need to get better. 5) Care. Compassion. Understanding: The road to recovery is a LONG one, particularly after a catastrophic motor vehicle accident. We will be with you for as long as it takes to make sure that you’re better, and beyond. Our relationships with our clients begin from the initial meeting, and don’t just end when the case is settled. We keep in touch with our clients long after their case is over to make sure they’re doing well. We enjoy staying in touch with our clients and sharing in their lives. Their successes are our successes and we’re confident that the feelings are mutual. The law isn’t just about rules and regulations on a page. It’s about real people. That’s why we do what we do. It’s about people and helping them regain control of their lives. There is nothing more satisfying than seeing the look of gratitude on a client’s face after a job well done. That’ why we do, what we do. It’s as simple as that. Enough law talk? Sure. A healthy Happy New Year to all of our friends and family. 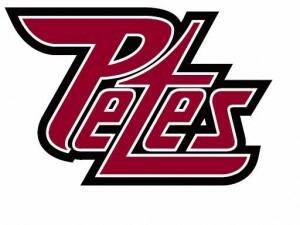 And good luck to tthe Peterborough Petes in their season opener tonight against Kingston. This is year, our law firm is an official sponsor of the Petes. We hope they make us and the entire community proud. GO PETES GO!